The University of Wyoming men’s golf team will open play at the 2016 Mountain West Championship on Friday. 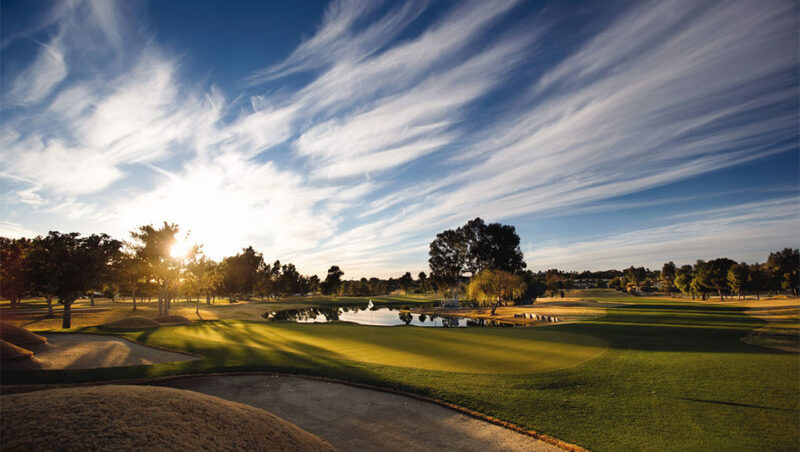 For the tenth consecutive year, the Catalina Course will be home to the MW Championship which will be played on the Catalina Course at Omni Tucson National Resort in Tucson, Ariz. The 54-hole event will be played over three days and conclude on Sunday. The Cowboys will have plenty of experience at this year’s championship, as four team members competed in last year’s tournament. Kamrin Allen led the Pokes a year ago, as he tied for 19th in the 55-man field. This season, sophomore Drew McCullough leads the Cowboys in stroke average at 72.2, while junior Ryan Wallen is close behind with a 72.5 average and Allen follows with 73.6. The field includes three teams in the top-40 according to the Golfstat Rankings. San Diego State tops the MW with a ranking of 21st in NCAA Division I. UNLV follows in 31st with New Mexico ranked 40th. Wyoming holds the 85th spot heading into the conference tournament. Last season, San Diego State won the team title with an 835 (-17). UNLV came in second place at 836 (-16) and Nevada took third with a tally of 842 (-10). UNLV’s Kurt Kitayama won individuals title with a 202 (-11). The MW will provide live hole-by-hole scoring at the 2016 Men’s Golf Championship. Live action can be tracked on the tournament central page or directly on GolfStat.com.